Comic News Insider Episode 664 – The CNI Before Christmas! Comic News Insider: Episode 664 is now available for free download! Click on the link or get it through iTunes! Sponsored by Dynamic Forces. Emily Edwards returns to co-host this Christmas special! Full of Christmas cheer, comics and songs! They chat about favorite Christmas movies and TV specials while Jimmy goes on a mini Xmas rant. News includes: Mel Brooks is developing a Spaceballs sequel, a Captain America special will air before the season 2 Agent Carter premiere and it is confirmed that Santa Claus is real! Leave your iTunes comments! 5 stars and nothing but love! Also, get a hold of us! Comic News Insider: Episode 516 is now available for free download! Click on the link or get it through iTunes! Sponsored by Dynamic Forces. Happy Christmas! Jimmy is in New Jersey visiting his sister and the family for Christmas. So, he brings you this quickie, some would say weird, solo episode full of Christmas joy (and music) and lots of babbling. And since it is the holiday, he decides to review Christmas comic books. You’ll have to listen in to find out which were naughty and which were nice. 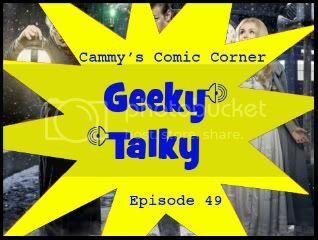 He briefly talks about some It’s A Wonderful Life tidbits, recent casting of Paul Rudd as Ant Man and Vin Diesel as Groot, and the persistent rumor that JK Rowling is producing a Harry Potter stage play. Only one news bit but it’ll tug your heartstrings as it’s about a girl with cancer in Vallejo, CA whom gets a Wonder Girl type wish. Plus a special message from Hugh Grant, the prime minister of the UK. Leave your iTunes comments! 5 stars and nothing but love! Happy Holidays from Real Books Don’t Have Batman! For our Christmas special, we review a Dickensian Dark Knight with Batman: Noel, an adaptation of A Christmas Carol. In this special episode, I’m joined once again by Art (Television Division) to discuss the Doctor Who – A Christmas Carol episode. Spoilers!